Delegates from 8 countries - Indonesia, Lao PDR, Malaysia, Myanmar, Philippines, Singapore, Thailand and Vietnam - were present for their annual meeting, along with ACC President Ignatius Leong, at the Imperial Mae Ping Hotel. Amongst other items on the agenda, it was agreed that the next Age-Group Championships will be held in the Philippines. 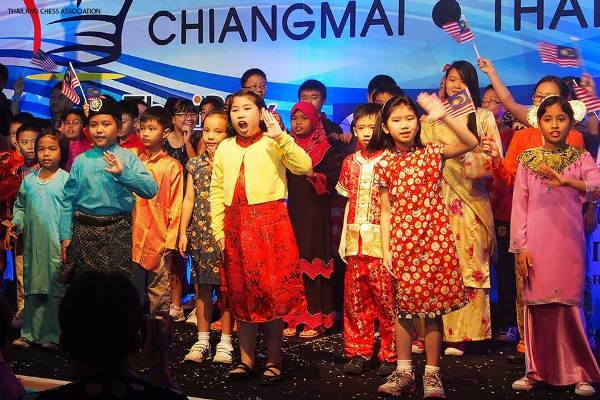 18 June 2013, KUALA LUMPUR --- The Malaysian contingent to the 14th ASEAN+ Age-Group Chess Championship 2013 has returned victorious from Chiangmai, Thailand to bring honour to Malaysia with a scoop of five gold, nine silver and 15 bronze medals. 5th Gold : Team Boy under-12 - Standard Game (Teh De Juan, Amier Hamzah Mohd Zuhri, and Wong Yin Long). Teh De Juan emerged the award title winner of FIDE Master. Thirteen countries with a total of 426 players had participated in the championship to include Vietnam, Philippines, Indonesia, Singapore, Malaysia, Laos, Thailand, India, Mongolia, Hong Kong, China, Russia, and Bangladesh. Malaysia had fielded 44 players for the chess championship held from 5-14 June 2013. 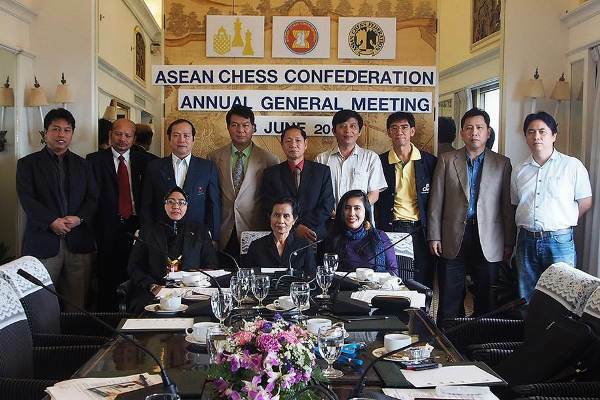 They were led by head of delegation Haslindah Ruslan, the vice president of the Malaysia Chess Federation.